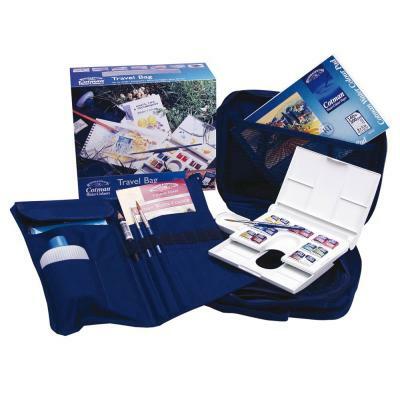 A compact water resilient bag, perfect for taking on out door painting trips containing everything you need for watercolour painting. Makes a great present and is perfect to take on holiday. PLEASE NOTE: THE TRAVEL BAG IS NOW BLACK AND NOT NAVY BLUE.